There is nothing more frustrating than coming home one night and seeing that your frozen water pipes have burst. The worst part about that is not necessarily that the pipes are damaged, but that it can cause flooding in your home and basement. Every year, people need frozen water pipes repair in Hamilton because of frozen pipes that have burst. You should especially pay close attention to pipes that have frozen. Even though insulation helps, it does not prevent the actual freezing if you leave pipes exposed to the elements. If you notice that you have a frozen pipe, you can try an electrical hair dryer and defrost it. However, you need to make sure that your dryer is grounded and you should remember that while operating an electrical appliance, you should never hold the pipe. If you want to prevent a pipe from bursting, you need to make sure to the shut off that line’s water supply. You have to be aware that you do need continual water supply if you use a boiler for heating. You only turn off the valve leading to the frozen line, not the main household supply. If you are not sure how to do this, you should call a qualified professional to assist you. Also, keep in mind that running water cannot freeze very easily. If you have extremely cold weather in the area, you should make sure that vulnerable pipes have some water trickling out of them. Even though it may seem like a waste of water, you may be preventing a burst pipe. If you have frozen water pipes burst, you can experience long-term issues with mold and the damage done to your belongings and structure of your home may be severe. 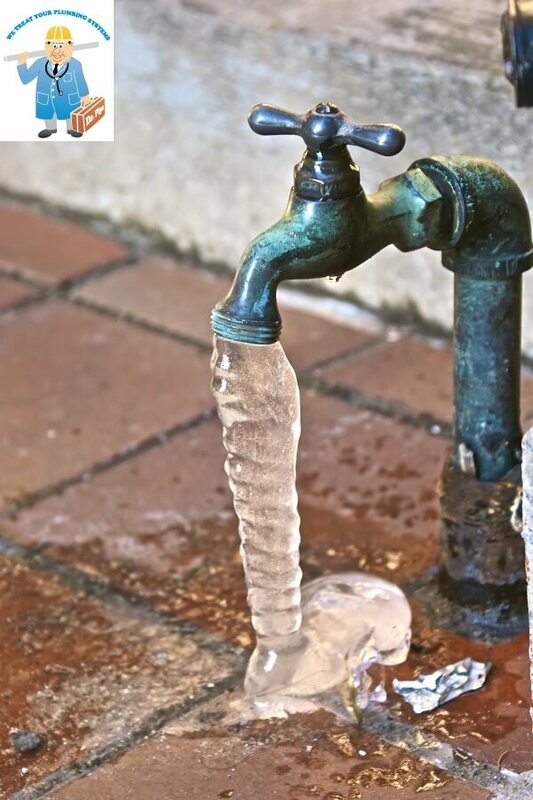 If you want us to do an entire cold weather plumbing inspection, you need to talk to the professionals at Dr. Pipe. We have qualified professionals who are not only able to identify at-risk water pipes but can also help winterize your home and insulate the pipes during the cold weather. If you do need frozen water pipes repair in Hamilton, make sure to call the professionals for help. We have qualified staff members who will arrive at the scene, diagnose the current situation, listen to your issue, and help resolve it for you. At Dr. Pipe Drain and Plumbing, we are proud to service the Hamilton area.